The Vice Chancellor is the Chief Executive Officer of Cape Coast Technical University. The Vice Chancellor is responsible to the Governing Council of the University. 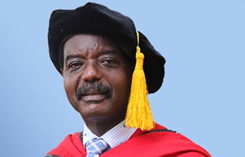 Among other functions, the Vice Chancellor is responsible for the promotion of a world-class, high quality Technical University education and the provision of the necessary academic and administrative leadership.